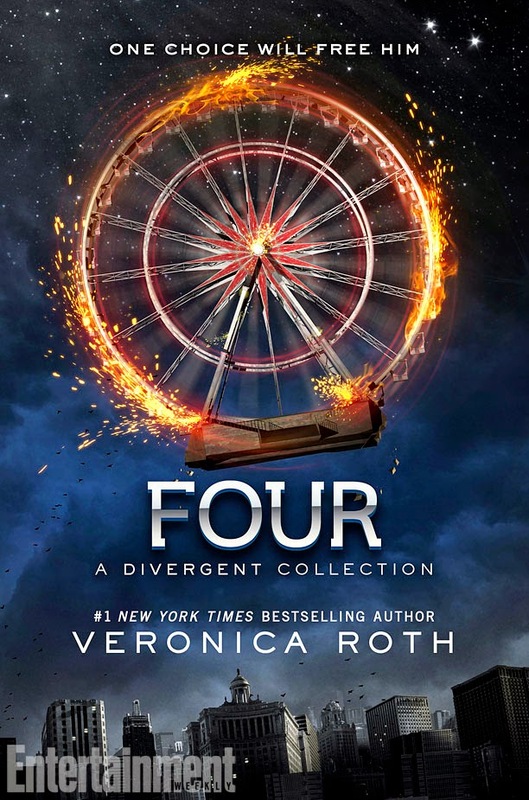 Quite a number of people asked me what Four is about or in what order they read the four installments in the Divergent series. And here I am, telling you what I thought about this book and my opinion on the best order to read these books. This book contains four short stories about Four aka Tobias (which I believe Miss Veronica did it on purpose), they are "The Transfer", "The Initiate", "The Son" and "The Traitor". It also contains three scenes from Divergent that are told from Four's perspective. Well, obviously, we get to see the life of Four before he transfers to Dauntless and understand more about his rival relationship with his dad. We get a glimpse into the why Four and Eric share a mutual hatred and the one death that has great influence on Four. We see more of Four's identity as a son of not only his father, but also his mother. This takes place during the Divergent, and we see how Four struggles with whether to protect Abnegation or not. After reading the whole Divergent trilogy, Four/ Tobias still remains as a mysterious figure. I always think of questions like what makes Four becomes the Four we know today. How come he seems so strong yet so vulnerable at the same time, and this book totally answers these questions. I'm so happy to finally be given the chance to know him better; I guess this is called character obsession? As for the reading order, if you haven't read the Divergent books, I suggest you read them first then come back to this book. There is no fun to already know everything about Four before meeting him in Divergent! Or if you are dying to get into this book, try at least finishing Divergent first, for this book won't spoil you anything then. Have you read Four? Do you like the character four? Comment down below if you have any thoughts! I am just wandering if it's enough to watch the movie then read Four or do i have to go through the three books then start with Four ?? ?